Celebrate Mother's Day with one of our delicious treats sure to make mom smile. 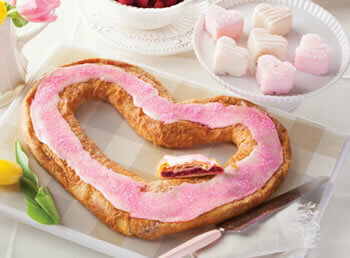 Kringle shaped like hearts, delicious cakes, and even some heart shaped petit fours will be the perfect way to send Mom a sweet surprise and say thank you for all she does. Sweet Treats for Mom — $36.99 It's Mother's Day, which means that Mom deserves a treat - something sweet and extra special. Six hand dipped heart shaped and decorated Petit Fours will delight her and our Raspberry Heart Kringle is perfect with a cup of coffee. Mom is the sweetest person we know, send her a sweet surprise. 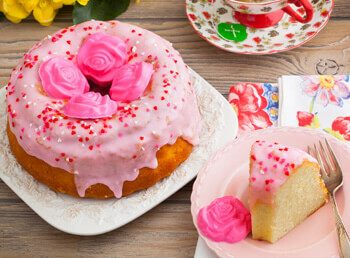 Mother's Day Tea Cake — $25.99 A beautiful way to say thank you to Mom! This tea cake is made with our smooth and creamy Copenhagen cake that we then frost in pastel pink icing. We then garnish it with heart sprinkles and finish it off with four beautiful pink chocolate roses. Now all you have to do is pour the tea! 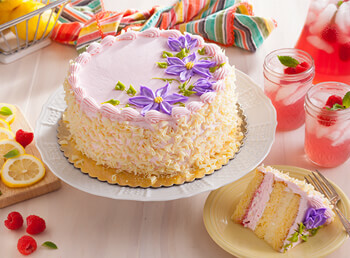 Mother's Day Layer Cake — $69.99 Make Mom feel extra special this year with this beautifully adorned layer cake. 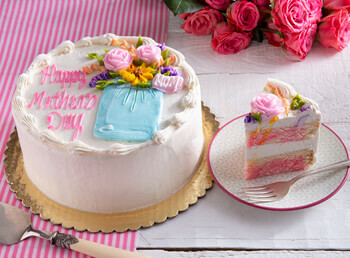 Our hand-made soft white cake is marbled with pink and then expertly decorated just for Mom. 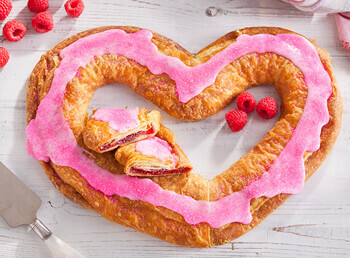 Mother's Day Raspberry Heart Shaped Kringle — $24.49 Our famous Danish pastry, homemade raspberry filling, creamy pink icing all made special for your Mom! 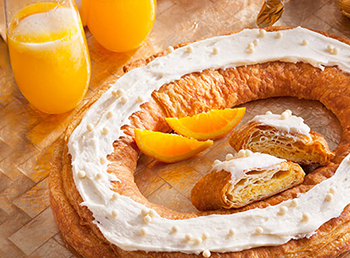 Mimosa Kringle — $23.49 What is better to serve at brunch than a fabulous mimosa recipe? We happen to love a good brunch just like the next person and so we decided to create this Kringle in honor of this mid-morning meal. Our flaky pastry is filled with our signature orange filling and then this Kringle is topped with a champagne flavored frosting and then topped with white chocolate pearls for a beautiful and delicious treat! 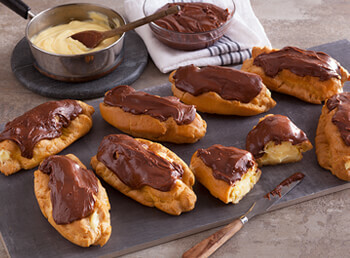 Sinful Chocolate Eclairs — $49.99 Eight huge freshly baked, crispy light pastry shells packed full of cool butter-sweetened custard cream and covered with a thick layer of smooth chocolate fudge. Thaw and serve these amazing eclairs for a delicious treat you won't soon forget. 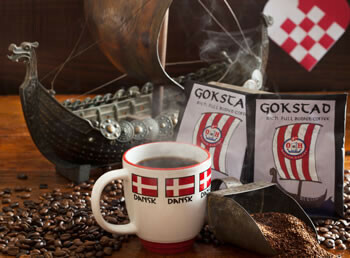 2 Gokstad Premium Coffee Packets — $4.99 Named for one of the finest Viking longships, Gokstad is a coffee that lives up to the Viking spirit. It combines a rich, full-bodied dark roast coffee with a sweet, clean light-roast to create the perfect blend of flavors that only a master craftsman who is fiercely proud of his work could make. We work with only the best suppliers and roasters who source coffee directly from it's origin. It's then roasted locally by hand and delivered fresh to be sure that, just like our pastries, the entire coffee experience is great.